FOUNDATION TRAINING is an incredible method of treatment for posterior chaining training, stretching routine, back pain management, balance work, posture work and more! Notice I said, “treatment”. FOUNDATION TRAINING is medicine, therapy and exercise all rolled into one. FOUNDATION TRAINING will treat the weak link which is most likely the cause of your pain. 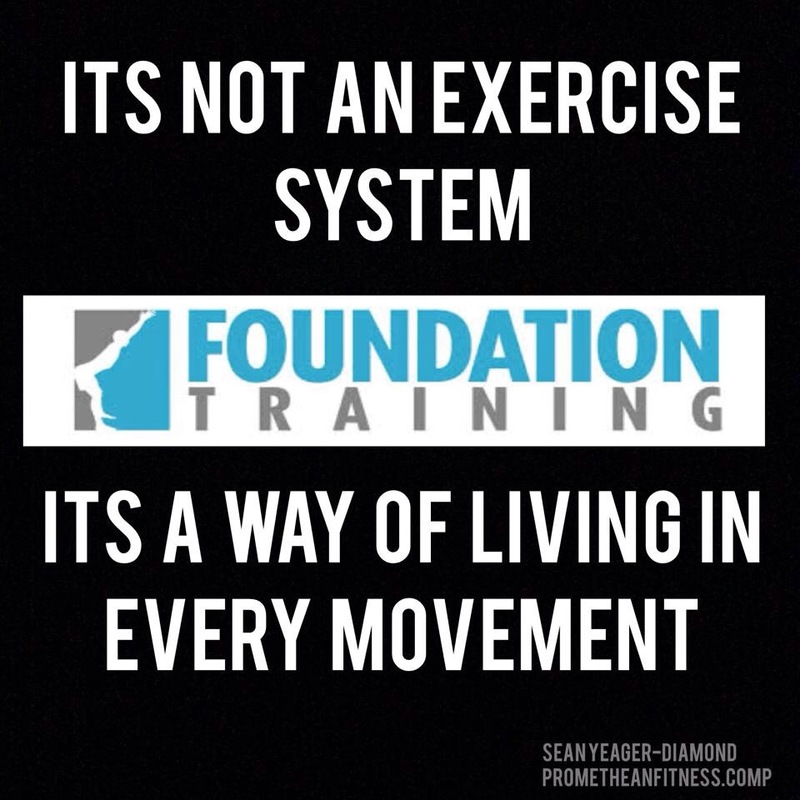 FOUNDATION TRAINING will find and treat the weak link in your body that is hindering your athletic performance. FOUNDATION TRAINING offers the whole package!!! Who should use FOUNDATION TRAINING? EVERYONE! High school athletes should be taught FOUNDATION TRAINING. This is where a lot of muscular problems begin. Poor form, poor movement patterns, not enough preparation for the body before a young athlete who is still grow crashes into another young athlete. Those of us who go to our 8-5 job everyday. How did I know sitting at my desk was making my back problems worse. Listen to me people… Get up from that desk and move around! This is your body and your health. Stand up and take a big decompression breath…it’s awesome! Seniors need FOUNDATION TRAINING! The muscles mass in seniors has greatly diminished thru the years…practice FOUNDATION TRAINING…it will strengthen the muscles in the back of the body to help you stand up straight. Who wants to live their senior years bent over and to stiff to enjoy life? FOUNDATION TRAINING works, it’s inexpensive and it will help you move so much better… We all want to feel good in our body. Give the gift of FOUNDATION TRAINING to someone for Christmas. Contact me for a gift certificate. You can click on the FT tab on my site to order a DVD. This entry was posted in Foundation Training and tagged back pain, balance, fitness, flexibility, Foundation Training, Health, posterior chain, posture. Bookmark the permalink.